For the Cybermen's 50th-anniversary ... you will be deleted! Exiled from Gallifrey at the very end of Time, Rassilon, fallen leader of the Time Lords, has been captured by the last of the Cybermen. Now the Cybermen have access to time travel. With it, every defeat is now a victory. Every foe is now dead -- or Cyberized. 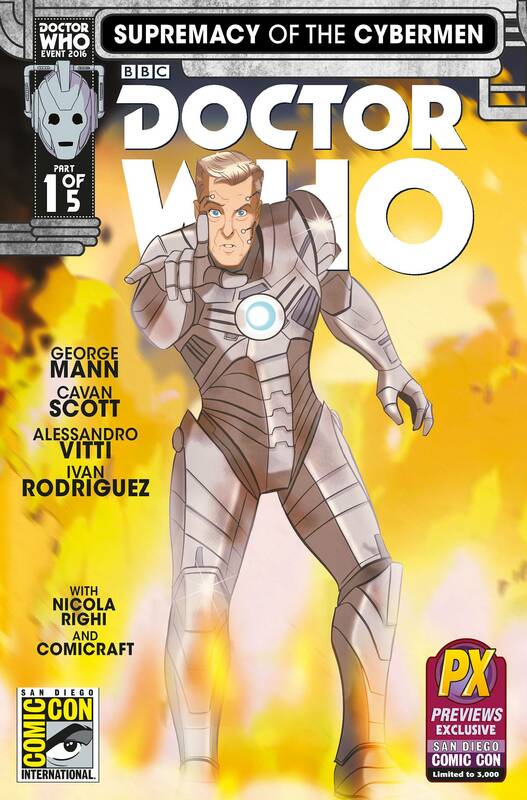 Titan Comics' 2016 Doctor Who event -- and the biggest Doctor Who story of the year -- begins here! Limited to 3,000 copies.